The story of Travis Troyer begins long before my path crossed with his. He owns Basik Candle Co in San Francisco, which is a favorite city of mine. I’d like to think he was elbow deep in coconut wax, lighting match after match, measuring the scent throw of Mediterranean Fig Tree saying, “No, I think I can make this candle better.” And he did. All the while I am vacationing down by Fisherman’s Wharf thumbing through cat portraits painted by a particularly eccentric old lady. I wandered 5 miles with my friends to find the Golden Gate Bridge which, even while standing on it, we never saw because the fog was so thick that day. And Travis was somewhere nearby lighting matches. Hundreds of them, even thousands. Because Blood Orange and Bergamot had to be exactly right, a scent to fill the room. I work at Frontier Label. We make fully adhesive labels. At the time, a little over a year and a half ago now, I was answering phones and picked up when Travis called. He was working on his candles. Whenever you find someone, they are already chapters deep into their own story. And so are you. I think the best part is being able to figure out how to bind those narratives together. Even for a paragraph or two. I called him again recently to hear more. Travis has always loved candles. You can hear it in his voice. He is an artist striking a balance between the earth and the ethereal. Isn’t that a candle anyway? The grounding warmth, ritualistic and inviting, primal and releasing, and very much transportive. All of these things take time and effort to craft and find. The components of a candle, if you break them down matter-of-factly, affect all of the senses, for everyone. Most candle buyers, however, are women, 80% of them. Designs and scents tend towards frilly, floral, and heavily feminine, but what begged to be poured was a harmony between the masculine and the feminine, a unisex candle: simple, sophisticated, earthy. Travis found this gap. This was the place for him to create. “Agonized” is most likely an understatement, but a word that Travis lived through until he found all the elements for his candles. Starting with the wax. He wanted a wax that was good for the planet, safe to burn, with a fragrance that reached beyond the traditional soy waxes. He formulated his own blend of coconut which burns clean and holds a remarkable scent throw. He is referring to his matte black candle jars paired with a matching black label. Here’s the deal, I work at the company where Travis gets his labels printed, and these are the troubles he was facing: The current label was a white paper, which we printed black with ink; however, once cut out, the literal thickness of the label is still white which would be unnoticeable unless placed on a dark surface. His jars were black. After applying the labels, Travis and his team would Sharpie the white edges of each one, creating an almost seamless look. Every single label, on every single candle for countless hours. He had to. He wanted a candle to expose and heighten the senses. A visual and tactile experience to deliver the aromatic. Travis was on the hunt for a better material, and we needed to find that for him: a fully black label that was printable; the white ink text of his design needed to smile like a cheshire cat. Much to my dismay, Travis had reached out to a different label company offering a fully black material which would hold ink brightly, staking claim in the aesthetic he had invested so much of himself in. I wanted to ask who he had reached out to, but I refrained. I am not a loyalist by nature, but our boy had indeed left home to discover something that worked. It hurt, but I can get behind that relentless quest for his passion. At the same time, our people, the Frontier team, were already on the case doing some heavy investigating, looking into a rumored fully black material, one that was better than the rest. Company X could not get the inks to stay without smudging, and fortunately, we now had something that could be pivotal for Basik Candle Co. It was time to call Travis back with the news of Black Vellum. Here is the turning point. I do not know all the details; I just know the chapters of our lives that have been drafted together. When someone shares that their dream might not make it, in the very least, you listen. Travis believed in the image of his company, and to uphold that, his best option was to Sharpie the edge of every label. That’s labor intensive. Enough to stop cold the idea of ever scaling production or company growth. Sometimes you are given the opportunity to help, and that was offering the missing piece. 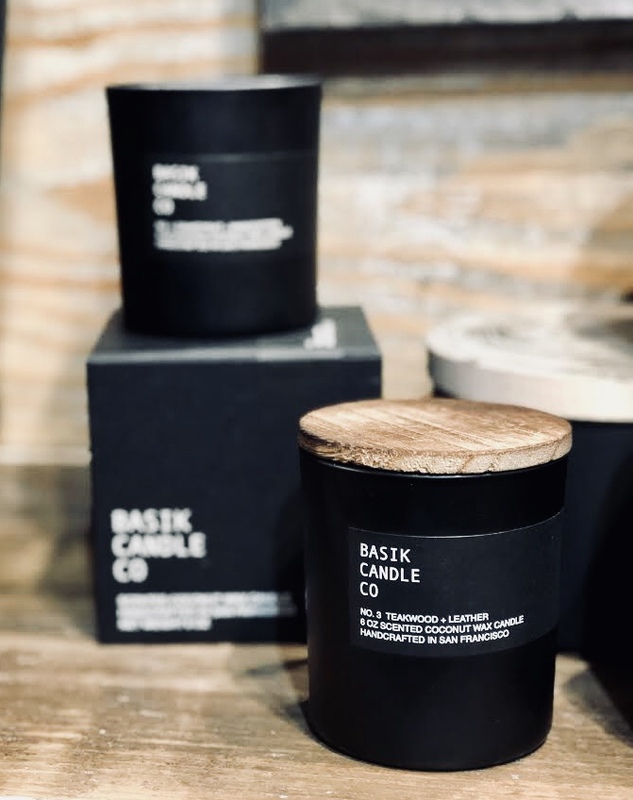 Our Black Vellum, a show-stopping, velvety black material that holds ink like a dream, changed the course of Basik Candle Co. We sent him the samples. In an excited tone, but always eloquent, Travis said this was “the first moment where I breathed a sigh of relief.” Scaling his company was no longer out of the question. 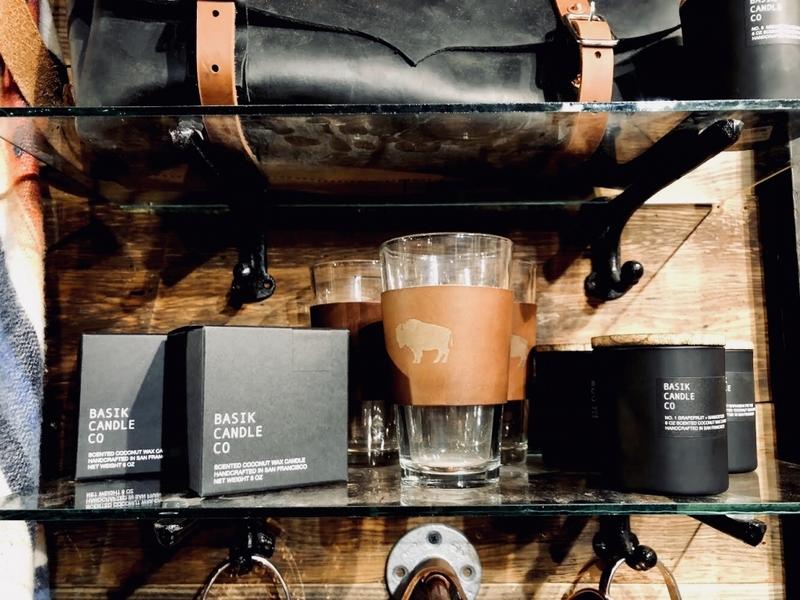 This is the story of Travis Troyer and his relentless quest to make a candle that filled the void. And not just any void, but the void where every sense is waiting to be awakened. “I’ve had that thought so many times. To quit. To not do the absolute best. All the painstaking details are working because we are doing what others aren’t willing to do, the work.” I know that feeling, wanting to quit. It’s universal, but it’s also how we decide to face it that changes us. I sat knees up in a chair 3,000 miles away from San Francisco in South Carolina listening to Travis tell me his story. His candles needed our labels. But it’s more than that, isn’t it? It’s digging a little deeper to help a dream move forward. It’s why two stories meet. I’m leaving for California again soon, I hope to say hello to Travis; but, mostly I hope to find him lighting matches. Hundreds of them, even thousands. Because Grapefruit and Mangosteen had to be exactly right for you, a scent to fill the room.